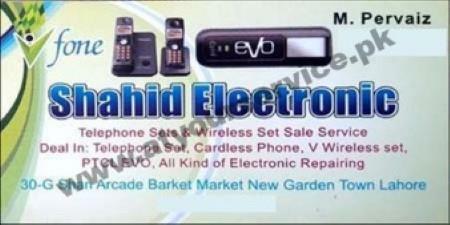 Shahid Electronic is located in Shan Arcade, Barkat Market, New Garden Town, Lahore. We deal with all variety of telephone, cordless phone, and wireless phones. We also provide repair services for all kind of electronic devices.